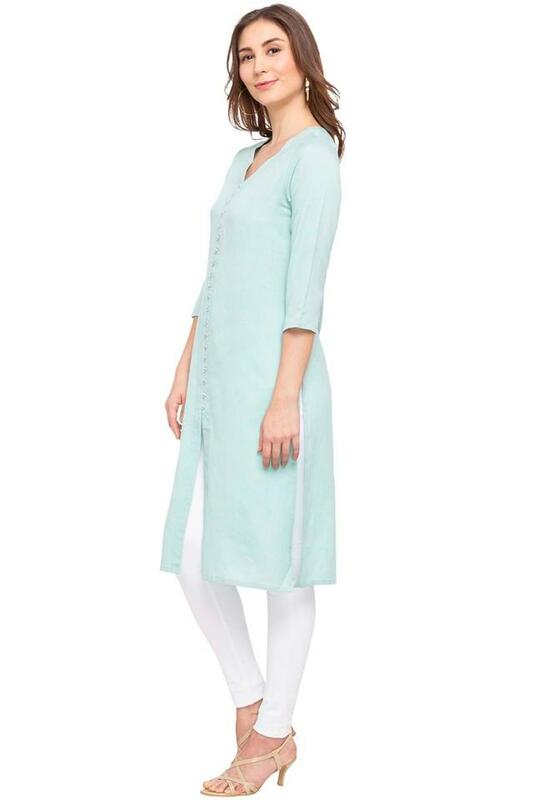 Channel a winning, ethnic style with this front slit kurta from the house of Imara. 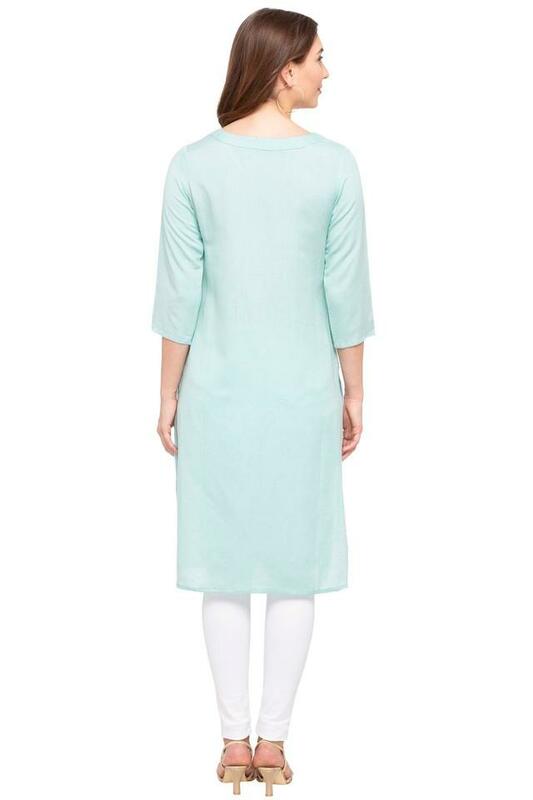 It features a V neck, solid pattern along with three quarter sleeves which gives it a trendy look. Moreover, it is crafted from a good quality fabric which gives you comfort all day long. 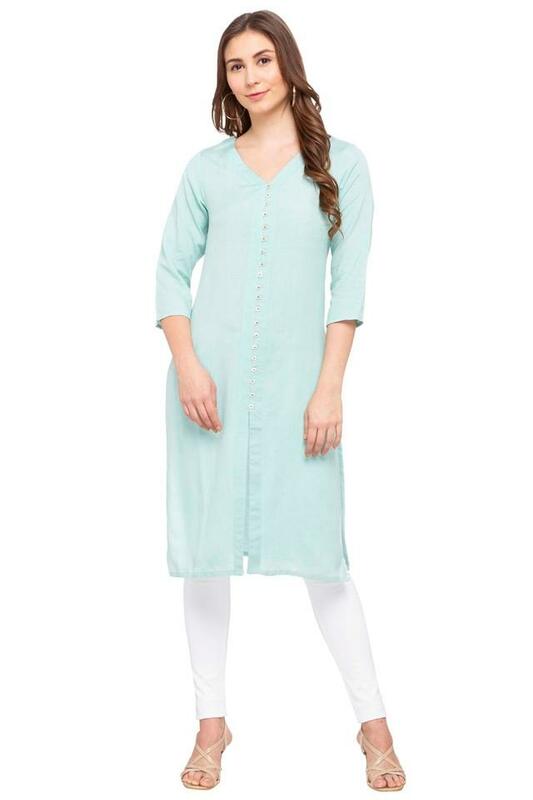 Be the showstopper of the event by wearing this remarkably designed kurta. Team it with a pair of leggings and heels to complete your look.